Burning your meds at 5 am for wake and bake and warrior pose is much more than routine, but ritual. Senses becoming one with the movements of your body, your body in complete sync with cannabis. 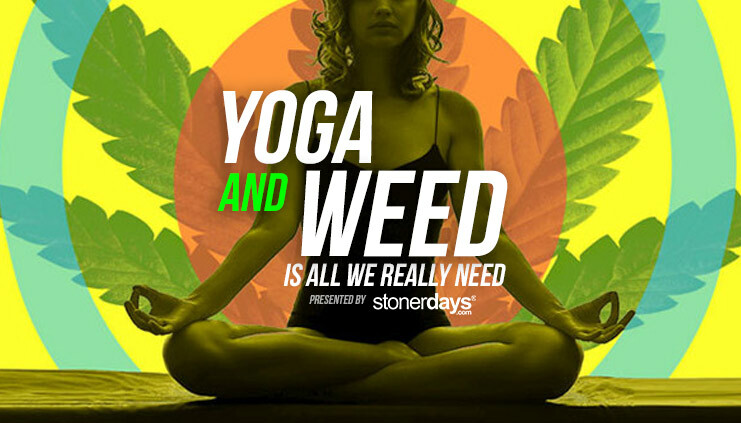 You’re not the only one to enjoy this luxury by far, and Mary Jane users finally have a yoga and weed class created and designed with them (I mean us) in mind. Elevated Yogi has set up shop and growing their roots in Detroit, Michigan where cannabis is literally around every corner. The dispensaries there in Michigan are plentiful. The increase of medicinal patients means a lot more pot heads looking for new and creative ways to unwind. Elevated sessions are “420 inspired” and often times sessions go down about thirty minutes before the actual class begins. Being elevated higher than the twelfth floor and stretching gracefully amongst your peers will never feel better than this. This place has done an amazing job of bridging the gap between health and wellness and Dope. They offer workshops such as “growing 101” and even “how to roll a joint”. This spot is more than yoga but a trippy safe haven for medicated,elevated, Yogi. As if all these things weren’t enough to have you racing to the yoga matt, they also offer 420 friendly movie night once a month! No matter your yoga or THC level, Elevated Yogi has a vibe you’re sure to float with, stay active and stay stoned, Namaste.